Difficult choices. As the CEO or manager of any business, you encounter them frequently. One of the key decisions any business will have to make is how to acquire any assets it may need in order to operate. Some businesses require very little. Others rely upon assets that are the stars of any balance sheet that they may grace. Equipment, vehicles and heavy industrial machinery are just a few examples of capital intensive assets. The big question for you, as you swivel in your leather CEO seat while contemplatively swirling a dram of cognac is – lease or buy? Let’s find out, boss. When you opt to lease an asset, you effectively get to use it without actually owning it. You just make regular payments towards it. We’ll scratch the seemingly simple surface of leasing a little more below, and investigate the different types of leasing and how they stack up against buying assets outright. To put it bluntly, it’s affordable. Even companies that have great revenues and solid profits often just don’t have the raw liquidity to purchase assets – some of which may run into hundreds of thousands (or even millions) of pounds. Yet all too often, the inability to acquire capital intensive plant or machinery is a primary bottleneck to company growth. A farmer may acquire acres of new land – but without the necessary tractors and harvesting machinery to grow crops, that land would simply lie fallow. A company manufacturing toys may see its order books erupting to the point where it has outgrown its existing plant. Acquiring a new plant could beautifully ramp up its profitability, but wouldn’t you know there’s simply no way of rustling up a few million quid to pay for it all. And as we all know, bank fundings pretty much out of the question because the bank that used to like to say “yes” isn’t quite so keen anymore. Well that’s ok, because it’s leasing to the rescue. The farmer can lease the required machinery required to grow crops. The toy company can lease a plant and manufacture the required quantities of Peppa the Pig beanies or Square Bob Scrungie Pantaloons mugs (or whatever nonsense kids buy these days) . They wont necessarily own the assets they lease at the end of the term, but they’ll certainly benefit from them. And the owner of the leased asset gets a nice monthly recurring income for the term of the lease. A true marriage of convenience. The equipment is rarely returned to the leasing firm after the lease period. The equipment cost is fully recouped along with interest charges by the leasing firm over the lease term. Normally, it is your responsibility as the person leasing the asset to insure it and ensure it is kept in good working condition. It’s also worth noting that any leased equipment must also be displayed on the company balance sheet, and longer term leases can normally qualify for capital allowances. This is a big advantage because you get the same benefit of capital allowances as if you stumped up the cash and bought the asset yourself. The leasing company is responsible for the upkeep and insurance. For those who require cutting edge equipment that may deteriorate rapidly, at the hands of technology for instance, operational leasing is often a good way to go. By the way, for naughty CEO’s who want to show shareholders how hard they’re working the assets of the business, operational leasing can really bolster the Return On Asset ratio, since short term leased equipment do not appear on the balance sheet (lower asset base, but same income means a better ROA and, just perhaps, an extra zero on your bonus). Contract Hire Leasing – Mostly, this is an option used with company cars and vehicles. Similarly to operational leasing, it can be treated off balance sheet and the vehicle will be returned to the leasing company at the end of the term. Other Leasing Options – The above three are by far the most common forms of leasing you’ll encounter. There are a few others around, mostly industry specific – such as leveraged leases, open ended leases and sales-type leases to name a clutchful. You Do Not Own The Equipment. By far the norm, you don’t own the equipment and you’ll have to make some plans on what you’ll do when the time lease term expires. Ordinarily, you would simply draw out a new lease contract. Cancel Fees. If you suddenly decide you no longer require the leased equipment, you’ll often need to pay hefty cancellation fees. Questionable Value. Only you can weigh up how the extra business the equipment will draw can compare against the expenses involved with leasing the equipment. Remember, you still need to pay entirely for the equipment (long term finance leasing), as well as the leasing company fees and often insurance and maintenance on top. It may be that after you do your sums, you discover that you end up paying more over a period of time than if you actually purchased the equipment outright. With the additional kick in the teeth of not actually owning it. 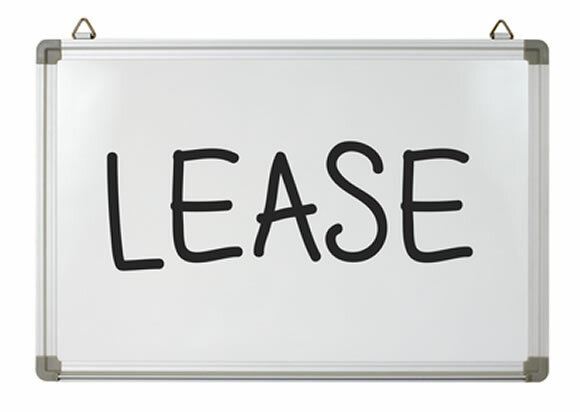 All things considered, when operating in this ruthlessly challenging business environment, the more tricks you have up your sleeve the better – and leasing would appear to be a very useful option in the CEO’s toolbox. It allows you to access the equipment you need. When you need. Without access to the increasingly unreliable money markets. As a business owner it’s well worth looking into – you never know, and pardon the pun, it may just give your business a whole new lease of life.